Exceptional sunny location! 1989 Manufactured home on level 5.5 acres. Welcoming open family room w/ wood burning stove. MBR w/ ensuite full bath. 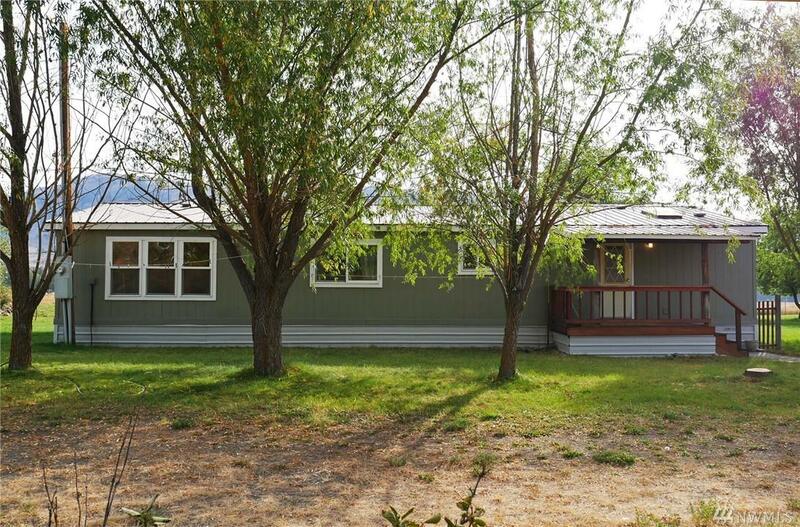 2 addtl bedrooms, 3/4 bath at opposite end of house. Newer windows & carpet. Tasteful updates thru-out. 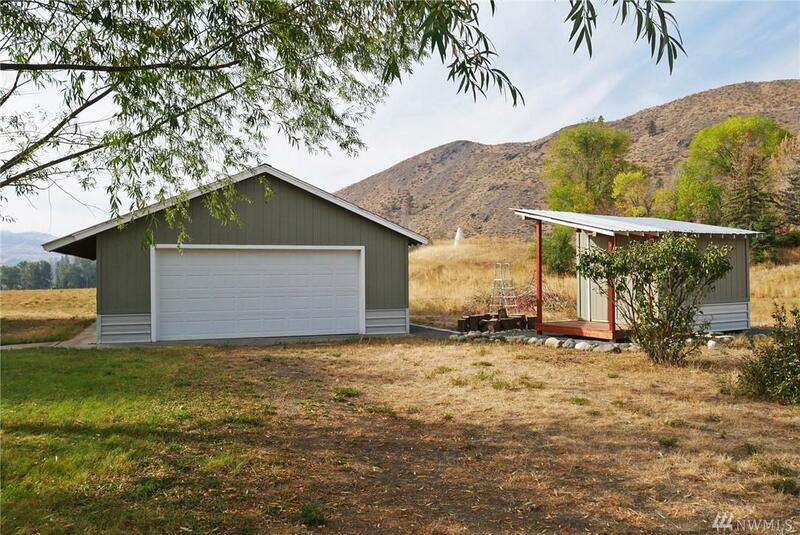 Detached garage w/ workspace & storage. Addtl storage shed for wood or gear. Fenced yard. Covered deck for outdoor entertaining and bird watching. 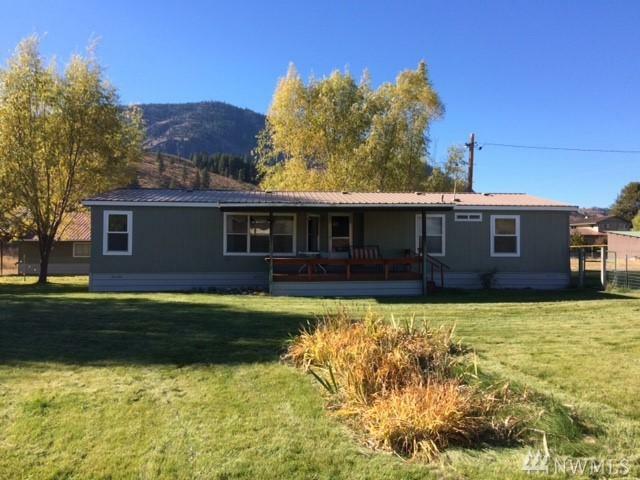 Public access to Methow River across the street! 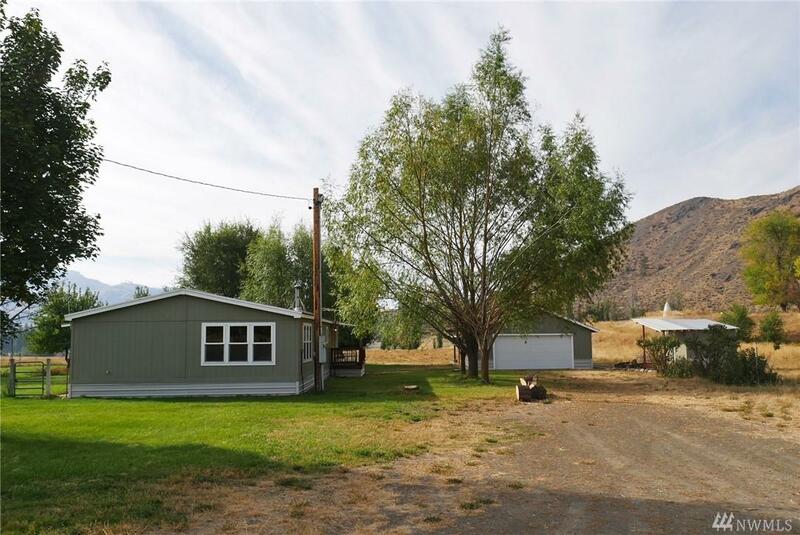 Convenient location b/n Twisp & Carlton!